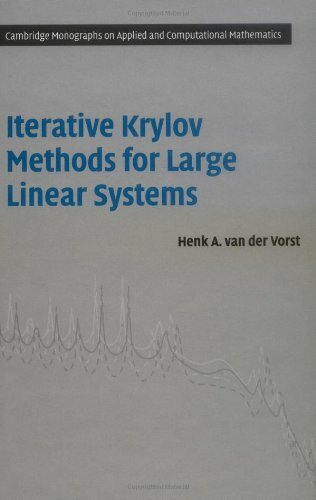 Based on extensive research by Henk van der Vorst, this book presents an overview of a number of Krylov projection methods for the solution of linear systems of equations. Van der Vorst demonstrates how these methods can be derived from basic iteration formulas and how they are related. Focusing on the ideas behind the methods rather than a complete presentation of the theory, the volume includes a substantial amount of references for further reading as well as exercises to help students initially encountering the material. How serious is irregular convergence?